Two of the most promising novel techniques have been used together with remarkable results. 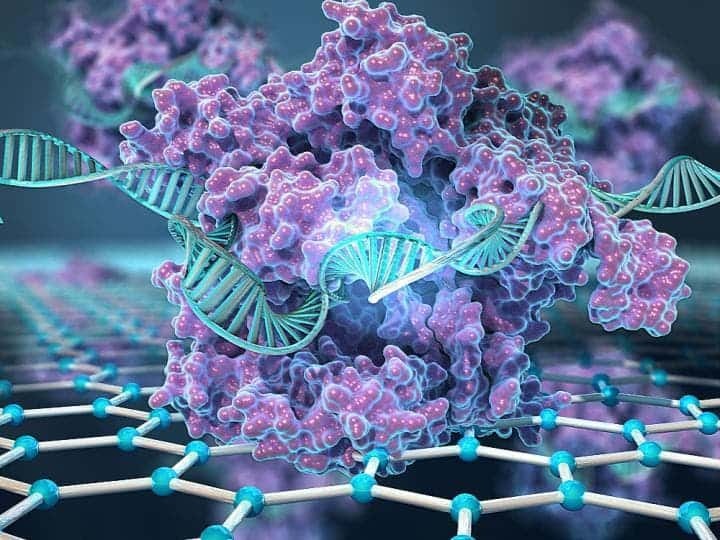 US researchers have combined CRISPR with electronic transistors made from graphene to create a new hand-held device that can detect specific genetic mutations in a matter of minutes. The novel system immobilizes the CRISPR complexes on the surface of graphene-based transistors. These complexes search a genome to find their target sequence and, if the search is successful, bind to its DNA. This binding changes the conductivity of the graphene material in the transistor, which picks the change and relays it to a handheld reader. Image credits: Keck Graduate Institute (KGI). Genetic analysis has developed tremendously in recent years. Not only has it become a relatively common scientific and medical practice, but commercial companies are even offering genetic tests readily available to customers. Over 20 million have already reportedly taken at-home genetic tests. When these tests are looking for genetic mutations, they “amplify” the DNA segment of interest millions of times to have a better look at it. This process (called polymerase chain reaction or PCR) is time and equipment-intensive, which means that samples have to be sent to a lab and subjected to analysis by expensive and delicate equipment. This is where CRISPR and graphene enter the scene. But in order for it to work its magic, the Cas9 protein needs to first locate the spots it needs to cut. Graphene, a single atomic layer of carbon, is extremely electrically sensitive and small enough for this type of application. Researchers attached a deactivated Cas9 protein (one which finds the targeted DNA segment, but doesn’t cut it) and tethered it to transistors made of graphene. When the protein finds the spot, it binds to it and triggers a change in the electrical conductance of the graphene. In turn, this changes the characteristics of the transistors, and this change can be detected with a hand-held device. Ultimately, this allows the detection of genetic mutations within minutes, using relatively simple equipment, in less than an hour. The handheld device. Image credits: Keck Graduate Institute. To demonstrate the equipment’s potential, researchers analyzed blood samples from patients suffering from Duchenne muscular dystrophy (DMD). DMD is a genetic disorder characterized by progressive muscle degeneration and weakness — one of nine known types of muscular dystrophy. Diseases such as DMD are thought to be caused by mutations throughout the dystrophin gene — but this is one of the longest in the human genome and spotting mutations can be costly and time-consuming using PCR-based genetic testing. This is where the novel CRISPR/graphene technology can make a huge difference. Researchers also say that things can be scaled up to the point where a handheld device would scan for multiple genetic disorders at the same time. 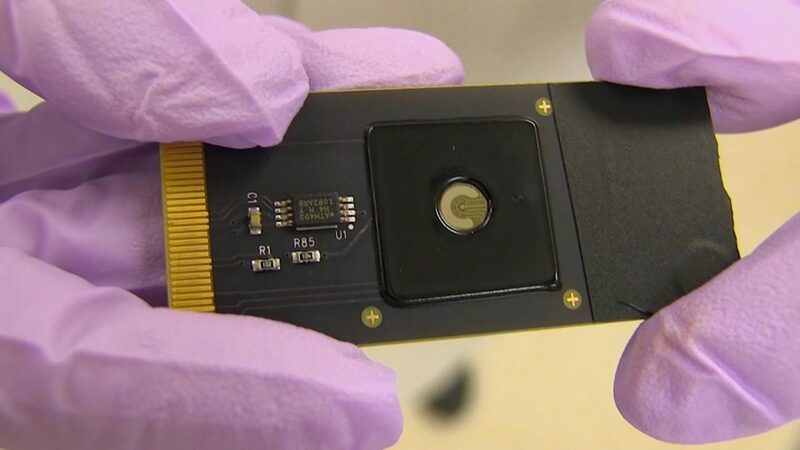 Rapid genetic testing could also be used to help doctors develop individualized treatment plans for their patients, Murthy said. For example, genetic variations make some people unresponsive to expensive blood thinners, like Plavix. “If you have certain mutations or certain DNA sequences, that will very accurately predict how you will respond to certain drugs,” Murthy concludes.